This article first published in the Financial Times in February 2018. Much the same issues apply now to organisations declining funds from the Sackler Trust. Among the many issues to have arisen from the FT’s exposé of the Presidents Club is whether charities that received donations from the controversial event did the right thing by returning the money. My financial resolution for this year – as flagged by FT Money earlier this month – is to review the charities in my will. I wrote my will a while ago in some haste, and chose the charities in the way that I suspect many people do: I listed the causes that I care about, then wrote down the first charities working on those issues that came to mind. With Keystone Accountability, we recently worked for a funder who was relatively new to knowledge management. We created for them a ‘primer’ to introduce some of the key concepts, and are publishing it because we feel, and hope, that the material is useful for a wider audience of funders and implementers. We also published an introduction to monitoring & evaluation: downloadable here. New project! Giving Evidence is pleased to be mapping the existing research around strategic and operational management of charitable and philanthropic activities. This sits alongside a separate project which we are doing to understand ‘demand’ for further research into charities and philanthropy: that is a large-scale consultation exercise, detailed here, asking charities and donors to list and prioritise the topics on which they would like more research (/ evidence / data). This talk explains what evidence-based giving is, why it matters, and how it needn’t be soooo complicated. Even the first 30 seconds here show why minimising administrative costs to keep an aid programme ‘cheap’ is a bad idea. Why should you care about evidence? On what do you need evidence? Where is the problem and why is it there? What is effective at solving it? If no decent evidence, either do something else, or fund the production of it. Don’t guess! Whom should you support this Christmas (or in your will)? As we’ve discussed here before, the data on charities’ effectiveness is really ropey, so this question is harder than it should be. The council wanted them out. 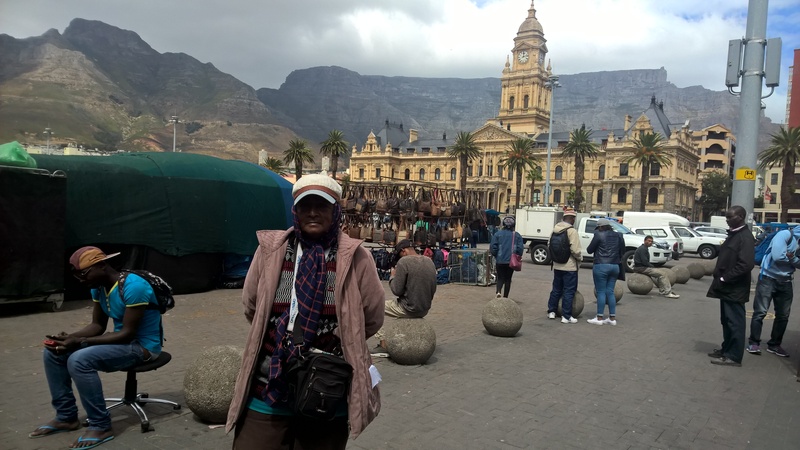 The Grand Parade area in front of Cape Town’s City Hall needed to be clear for filming one day last month, so the market traders who have their stalls there would need to disappear. There have been traders on that stretch of ground for hundreds of years and, for them, a day without trading is a day without income. But they had taken a lesson from the previous month. In February, they were to be removed for the then-president Jacob Zuma’s “state of the nation” address, as the Grand Parade area might have been needed for a helicopter landing. With Keystone Accountability, we recently worked for a funder who was relatively new to monitoring / evaluation / learning. We created for them a ‘primer’ to introduce some of the key concepts a ‘primer’ to introduce some of the key concepts, and are publishing it because we feel, and hope, that the material is useful for a wider audience of funders and implementers. We present these four levels as a ladder, because the issues at Level 1 are simpler than those at Level 2, and so on, both in terms of the types of data / analysis needed and the conceptual complexity. Keynote talk and very spirited panel at the Philanthropic Foundations of Canada, Toronto, Oct 2018.